News about our last EPMeeting in Kastamonu-Ihsangazi. EPM Award is already open!!! Send articles to be published to next issues. Are you (from secondary school or university Institution) interested to join our educational-scientific activities as member of EPMagazine? You may choose to join us in one of the three different levels: Editorial Member, Co-operator or Contributor. The Italian official email address has been changed into epmagazine.it@gmail.com. The last EPMeeting (the 15th) has held in Kastamonu-Ihsangazi, Turkey a very short time ago. Go to our official web site at www.epmagazine.org for weblogs, picture, news. During the next weeks you will find the final report and the tasks to be shared among partners. HST/TGE NEWS and FUN PAGES contributions are welcome too. 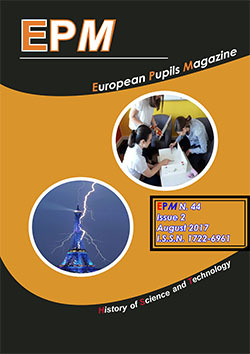 To learn more about EPMagazine you can visit our official web site (www.epmagazine.org). You are kindly required, also, to get a look at our online Magazine (epmirrorsite.xoom.it) or contact our EPM Editorial Board by e-mail.